Fa mor audacious than Kane in that Kane found Welles atr the top of the Hollywood heap. Touch of Evil is at the bottom. Universal opened it without so much as a press screening. 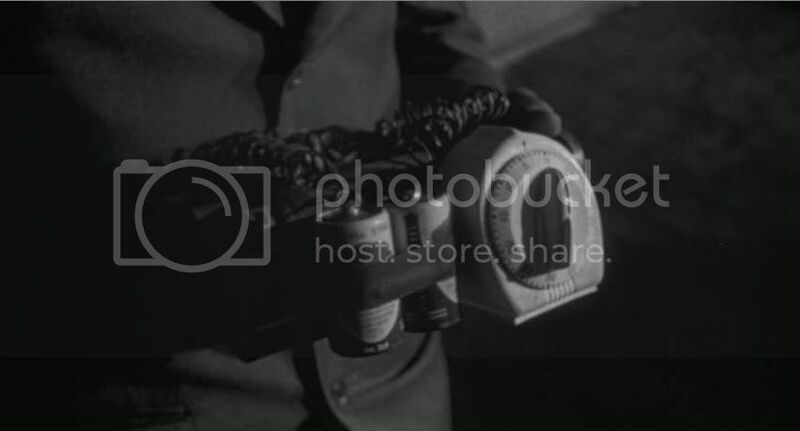 It's a great example of how fast and effective Welles could be, even in extremis. The Universal execs were startled at the screenign of the rushes to find marlene Dietrich in their movie. That's one of the reasons why they didn't know what to do with it. The other is the light it shines of what's laughly referred to as "the criminal justice system." All that plus one the greatest finales in the hysteria of the cinema. "He was some kind of man. What does it matter what you say about people?" -- words of wisdomI reach for every day. "Few directors controlled foreground and background as effortlessly as Welles, and nearly every shot features elaborate relationships between figures and objects, creating unforgettable visual resonances." Very well said here and perfectly illustrates why Welles was such a master. 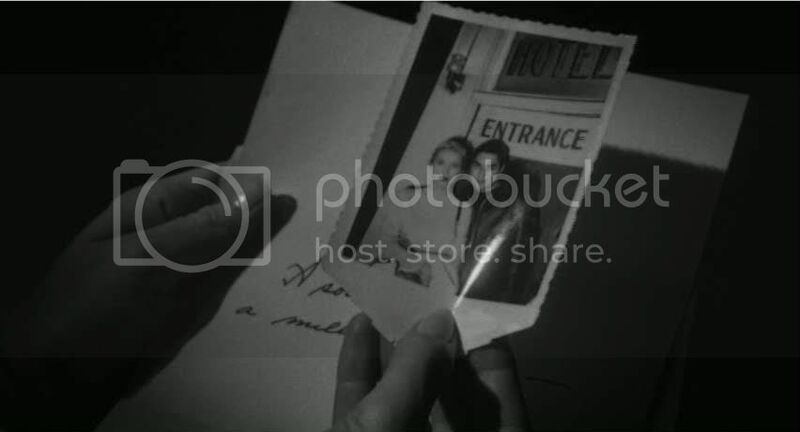 This is my favorite film noir of the classic period, and this was the end of that period. It holds a power and scope that I think are unsurpassed. Corruption and manipulation are at a fevered pitch and Welles probably gives his best performance here although Kane and Falstaff are also good portrayals. Love this film and I'm glad they were able to piece it back together from Welles' original vision. Yeah, I like this film better than Kane, personally, if only because it's raw and ragged where Kane is perfect; its roughness is endearing. And "hysteria of cinema" - I love that! It really is such a great finale, so melancholy and abrupt, an offhand shrug after so much violence and corruption. 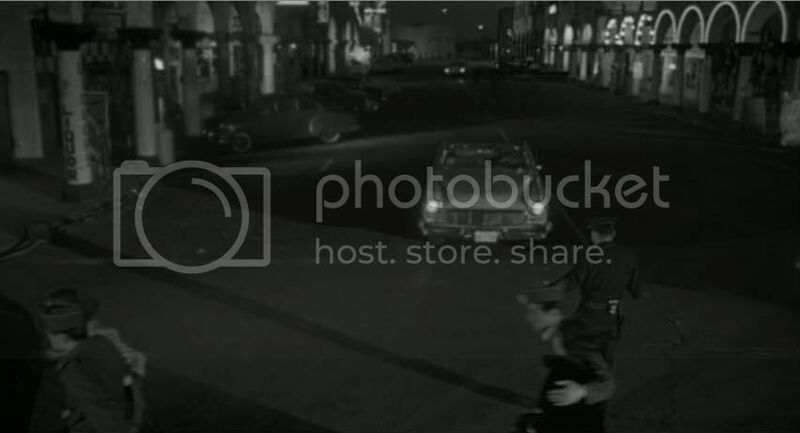 Jonny, it's really one of the greatest noirs because, like Kiss Me Deadly, it doesn't just portray characters succumbing to corruption and evil, but savagely indicts an entire system built on this kind of moral decay. 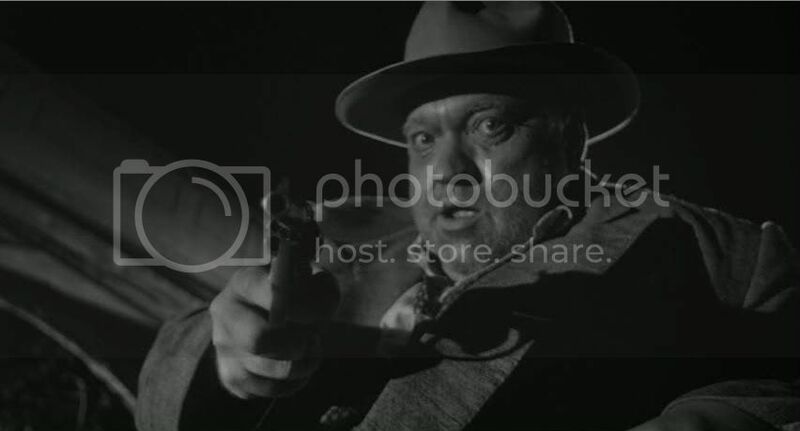 And yes, Welles' performance is brilliant. 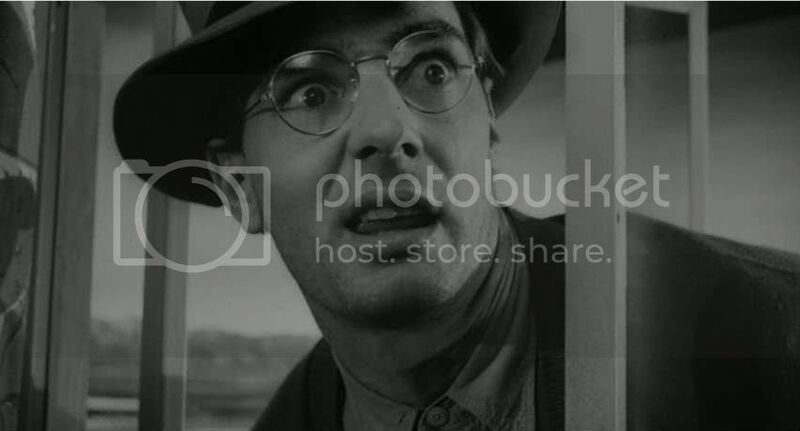 One day I'll figure out why this noir has never registered with me in the stratosphere of greatness that you, David and virtually the entire filmic establishment has asserted for decades. I am aghast at the notion that it is anywhere near CITIZEN KANE (much less CHIMES AT MIDNIGHT, THE MAGNIFICENT AMBERSONS and the grossly underrated MACBETH in the Wellsian pantheon) but as always it's of exceeding enrichment to immerse in so many great ideas and writing (again the norm for this place!). Am I on to something? No I am not. I am guilty of cinematic malfeasance in regards to this film. While I am always dazzled by the filmmaking style, (especially that stunning opening) I see the whole enterprise in a low-brow trashy pretense, feeling in large measure it's rather (narratively) dull, rambling and meandering. In the numerous times I've sat through this film dying to get on board like you and so many others, I have never been rewarded with a satisfactory viewing. I've grown to love film noir more than I ever have in recent years, but with this one single exception from a director I revere as much as just about any other, I am unable to see how and way this film is far more audacious that CITIZEN KANE, and just what it is about it that allows one to become emotionally integrated with the proceedings. The sound design (as you note artificial) and the film is mired in B movie conventions that never for me reach the operatic proportions to elevate it a mightly vision of corruption. The props so to speak never allow this to happen. Maybe one day I've emerge from the darkness. Until then I can truly appreciate great work like yours to make my hopeful transition a rewarding experience. Thanks for the comment, Sam. I understand if this film doesn't connect with you personally the way Welles' other work does; I have similar feelings about the unavoidable Kane, which is of course a great film but not one that I've ever felt too strongly about on a personal level. 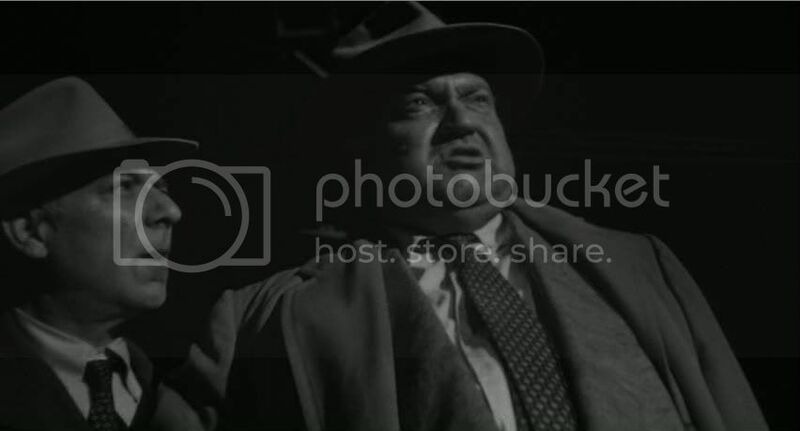 I think the trashiness that you detect in Touch of Evil is what I find so appealing about it. 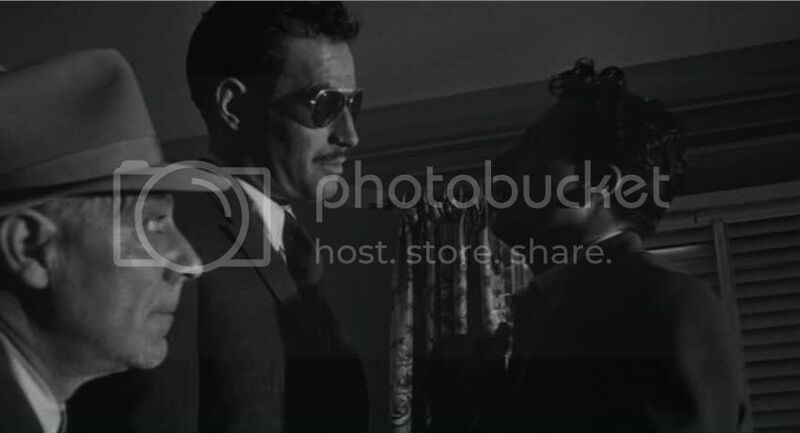 Kane is technical perfection; there's more tension in Touch of Evil, this constant push/pull between Welles' formal precision and the bold sloppiness of the plotting, as well as the grimy, hazy aesthetic of the settings. It's a tough and ugly movie about tough and ugly people, the essence of noir, and also as David suggests an aesthetic reflection of Welles' own declining fortunes in Hollywood in the wake of Kane. I find it really bracing and exciting - but of course your mileage may vary! Ed, for me as well, this film gets to me on a more personal level than Kane, although I do vastly appreciate Kane for the mastery of filmmaking technique. Sam, I think what connects with me most is that the younger Vargas, full of idealized notions of justice, works so hard against the system of corruption and racism on display by the Quinlan character, something embedded in the local justice scene for decades. All the people that Vargas has framed and the scope of injustice is so big that I can't help but feel connected to Vargas' quest to right the wrongs. Quinlan's death at the end, is in my opinion, one of the ugliest, loneliest deaths in the history of cinema. It's a moment of awareness and mortality that is strikingly sad and agonizing. We forgive you Sam this lack of connection with the film, at least I do and I'm sure someday you will see the light. Ah, a great one indeed! Like so many others, I too didn't connect with Citizen Kane, the so-called "greatest movie of all time". 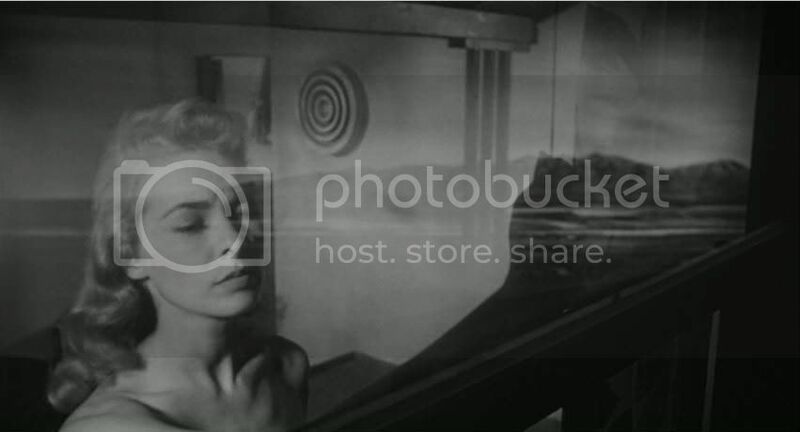 But as for Touch of Evil, I loved it. Yes, as you too pointed out, Charlton Heston's role as a Mexican was more of a caricature than a real three-dimensional character. 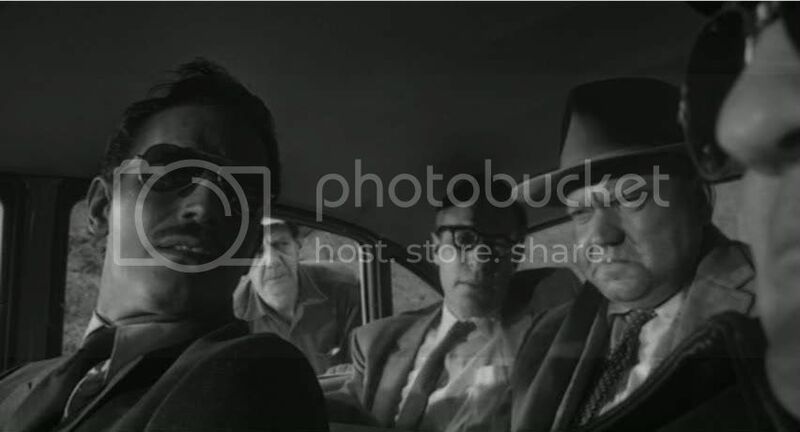 But that minor blemish apart, this truly stands out as a great film noir. And, at the heart of it lies the towering performance by Orson Welles himself as an utterly corrupt, thoroughly irredeemable, power-hungry, and well, grotesque and emotionally alienated cop. In fact, so brilliant was his turn that, despite his despicable nature, I did feel for him when his imminent hour of downfall arrived. By the way Ed, I'd love to know where would you place (i.e. 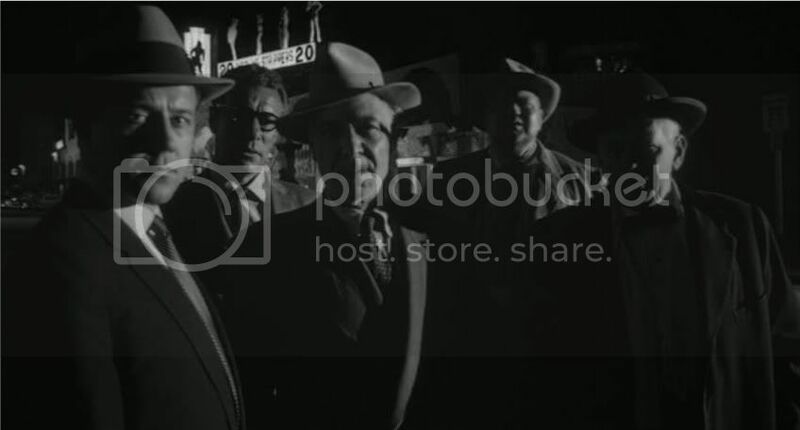 how high) in your list of greatest film noirs. 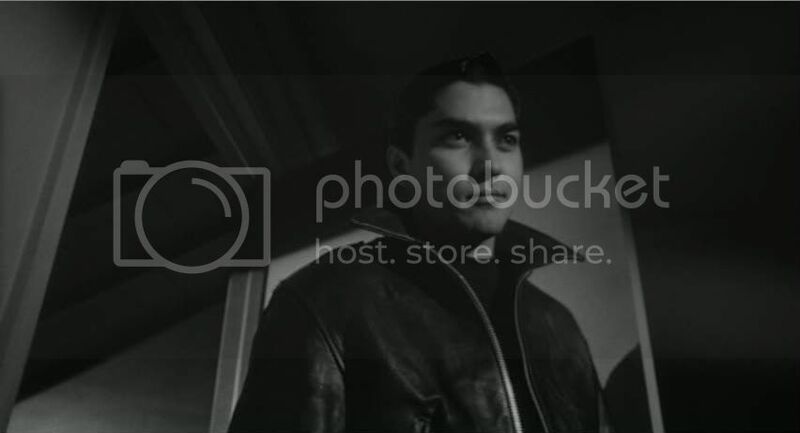 Or rather, which all film noirs you'd personally place higher than this one. Jonny, good analysis of the film's theme of corruption and morality. The Vargas/Quinlan dichotomy is also made even more poignant by the fact that, though Vargas is a good guy straight-shooter with a sense of responsibility at work, he's utterly neglectful of his wife and nearly sacrifices her to his dogged quest for justice. Like Quinlan, there's something sad about his character. Shubhajit, I agree that the Heston casting is unfortunate, though I wind up enjoying the character anyway. Welles is the real soul of the film, though, unlikely as that seems considering how hateful his character is. That his dismal end manages to be so moving in spite of all the awful stuff he does is pretty remarkable. 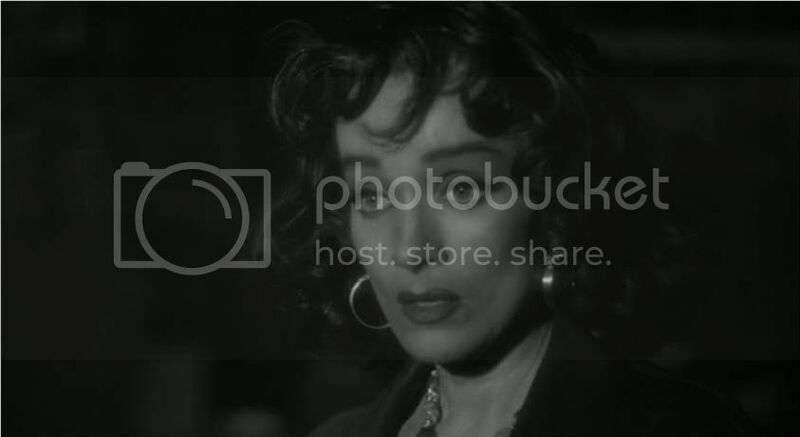 I've never really thought about what my favorite noirs would be in any systematic fashion, but my very top tier favorites would be Kiss Me Deadly, Detour and In a Lonely Place; those are the best of the best, the films that really resonate most strongly with me in this genre. A rough list of some other faves would have to include Touch of Evil, Force of Evil, Sunset Blvd, The Set-Up, Out of the Past, The Seventh Victim, the bulk of Otto Preminger's noir cycle, probably a bunch more I'm forgetting. I mistakenly wrote about Vargas and those he framed and meant to write Quinlan of course in that instance. Shubajit you're right that there is something in Quinlan that is sympathetic and we feel for him despite his actions. Ed, yes it is amazing at how singleminded Vargas is! Leaving his wife to fend for herself! 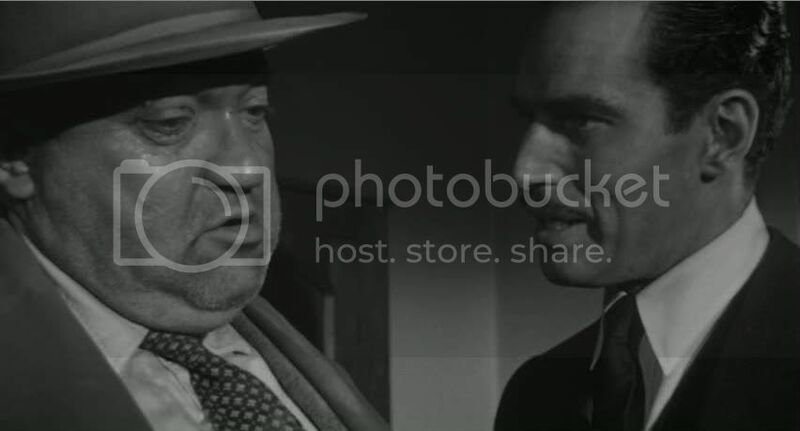 Touch of Evil beagn its life at Universal as a Jeff Chandler project. Chandler and Welles had been successfully teamed in a noir called Man in the Shadow directed by Jack Arnold. Then one of the bigwigs at the studio decided to go after Heston instead of using Chandler. He said it sounded interesting but who would direct? They said he could have his pick. Heston said well you've got really good director as part of the project already, Orson Welles. So they had Welles direct -- even though he was just being paid to act. 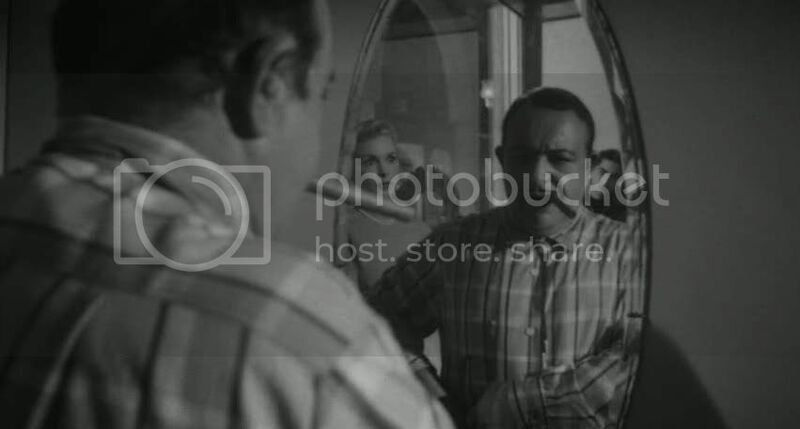 He made a full course meal of this happy accident, bringing on pals like Joseph Cotton, Gus Schilling, Joseph Calleia, Zsa Zsa Gabor, and of course Marlene. When he asks her to read the cards and tell him about his future she replies "You haven't got a future. Your future is all used up." That's precisely the way Weles felt about himself at the time. But he went on to make two more masterpeices: Chimes at Midnight and F For Fake. Welles, the human pachyderm, monstrously obese, reeking, sweaty, gross, exiled, and he gives the best, least flamboyant performance of his career. I've always loved the fact that despite all the atrocities Quinlan commits, in the end he's right, a first-rate cop all along. 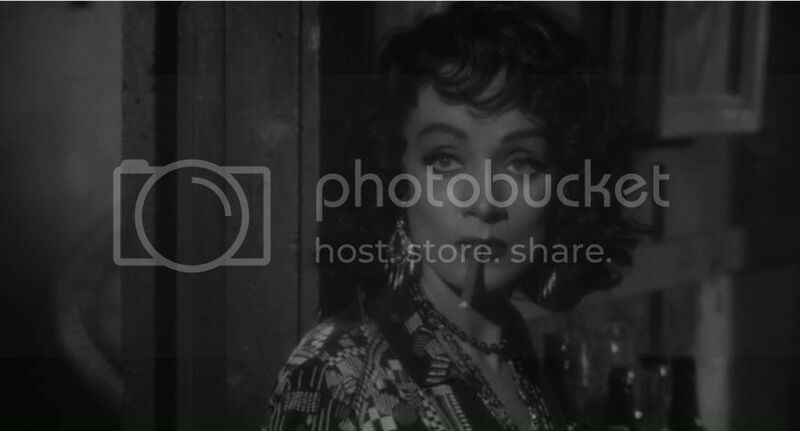 And did Dietrich ever age? She doesn't look much older here than she did in all her von Sternberg glory.